Regular readers of this blog will know I am rather taken with the writings of Adrian Hyland. His two novels set in central Australia, Diamond Dove and Gunshot Road, are both among my favourites of the past few years. 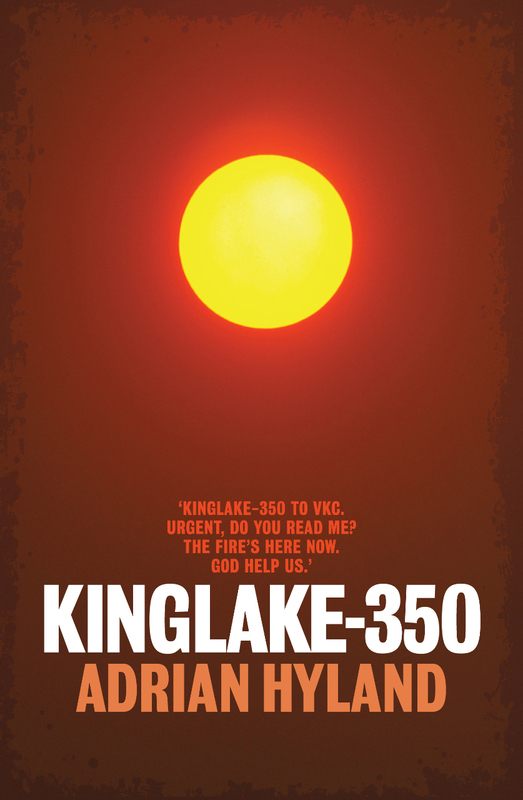 But Kinglake-350, officially published on 1 August, is a different kettle of fish all together from these two stories. Based on Hyland’s personal experiences, countless interviews and solid research the book is an account of the terrible February day in 2009 when the most ferocious bushfires on record swept through large swathes of rural Victoria, leaving 173 people dead, thousands of homes destroyed and much of the environment forever and irretrievably altered. Rather than trying to account for every detail of the enormous tragedy the book offers a handful of individual stories of the day, with that of Acting Police Sergeant Roger Wood at its heart. Wood was in charge of the Kinglake police station on Saturday 7 February 2009 and Hyland takes us through his day from the moment he wakes up knowing that conditions are the worst they could possibly be from a fire hazard perspective. Leaving his wife and children at home on the outskirts of St Andrews he drives 13 kilometres up a dangerously winding road to the town of Kinglake to start his day’s work and reports into the police communications centre with his radio call sign: Kinglake-350. With one eye always on the sky, the weather, the air itself Wood goes about his routine duties until the first fire in the region breaks out in the early afternoon. He then hurries from one mini-crisis point to the next: diverting people from harm’s way, helping them to evacuate, driving victims to medical help and undertaking countless other tasks. For most of that time he is unable to contact his own family after hearing that their house is in the direct path of a fire. Of course Wood is only one of thousands of participants in the day’s events and Hyland has included others. There are the Country Fire Association volunteers, nurses, policemen and ordinary people whose stories unfold alongside Wood’s as they try to save people, homes and entire towns without much in the way of resources or the much-needed early warnings. We meet people who survived due to good preparation, others who survived through luck and more who didn’t survive at all. As someone who was in no way involved with that terrible day and who has only ever watched a bushfire from the relative safety of the outer suburbs I found this book, with its combination of personal stories and academic elements, provided one of the few comprehensible accounts of tragedy I have ever read. So often the media and other true accounts of such events focus on tallies of the dead and injured or become embroiled in the blame game. I can’t tell you how much nonsense I saw and read about these fires in the days after that weekend, often from people who know as little about what causes bushfires and how to fight them as I do (which in case I haven’t made it clear is none at all). What Kinglake-350 did instead for me was provide a comprehensible depiction of how the world fell apart for thousands of people, largely through no fault of their own. Certainly some some individual events on the day might have gone differently if this agency had better communications or that person had had a proper fire plan but, in the end, the blame game is fairly pointless (if not out-rightly dangerous by lulling people into a false sense of their own safety and security). But ultimately this is a book about a community of people who coped with a natural disaster in the best way they could with a combination of knowledge, skill, luck and courage. Their individual and collective stories are sombre, heart-wrenching and so totally compelling I read the entire thing in a single sitting, starting late last night and finishing at about two o’clock this morning. This entry was posted in Adrian Hyland (Aus). Bookmark the permalink. This sounds like an excellent book. Adrian Hyland is a wonderful writer. I will try to read this if/when it’s available over here. However, having dealt with two fires in my apartment building, luckily they were confined to the apartments and no one died, and having witnessed a fire next doo last summerr which ruined many apartments, killed an elderly woman and displaced many tenants, it is a topic I try to avoid. It was just a few feet from my neighbors’ apartments. It is terrifying to see a fire’s destruction, knowing that people died and were injured. The ruined apartments are still not liveable. I read a column by Hyland in an Australian paper about this fire — and the human toll. It was excellent and I despaired with his daughter and their friends that their school was destroyed, although they were welcomed by another school quite warmly. Bernadette – Oh, this book sounds so compelling! I’m definitely going to try to get it. And it’s not just because I’m an Adrian Hyland fan, which I am. It’s also because I live in wildfire country myself. I have just a little sense of what a brush fire can do because I’ve seen what wildfires can do. This book definitely goes on the TBR. Now. This reminds me about Tokyo Gas Attack by Haruki Murakami I read last week. The author interviewed the gassed victims, the doctors and even the cult members. So this book definitely would work for me. Thanks for the review and introducing the book to me.